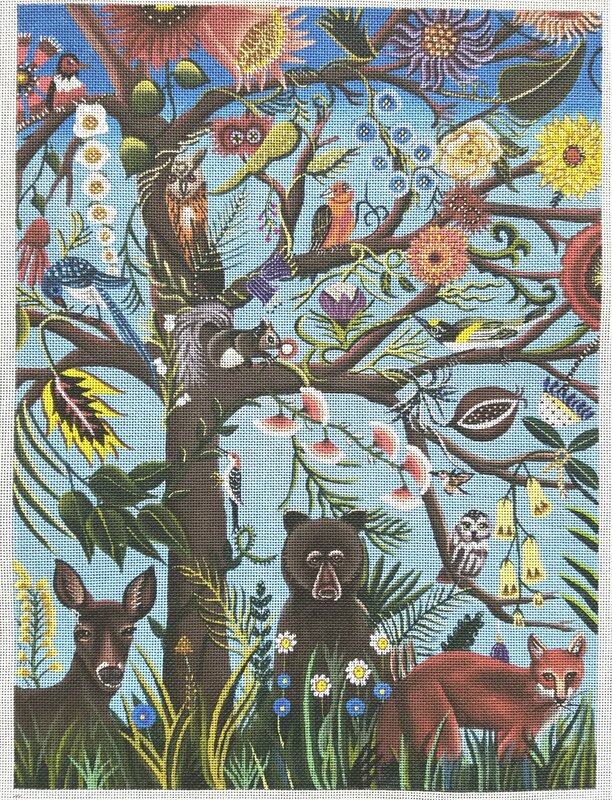 This is a stunning Tree of Life handpainted needlepoint by Catherine Nolin featuring all the forest animals in lovely stitching detail. The needlepoint design area measures 12" x 16" and is hand painted onto 18 mesh mono canvas. If you require stretcher bars to make a frame to hold your canvas then we recommend a pair of 16" and a pair of 20" and some thumb tacks.